Our preschool campus is a nurturing space designed specifically for young children. 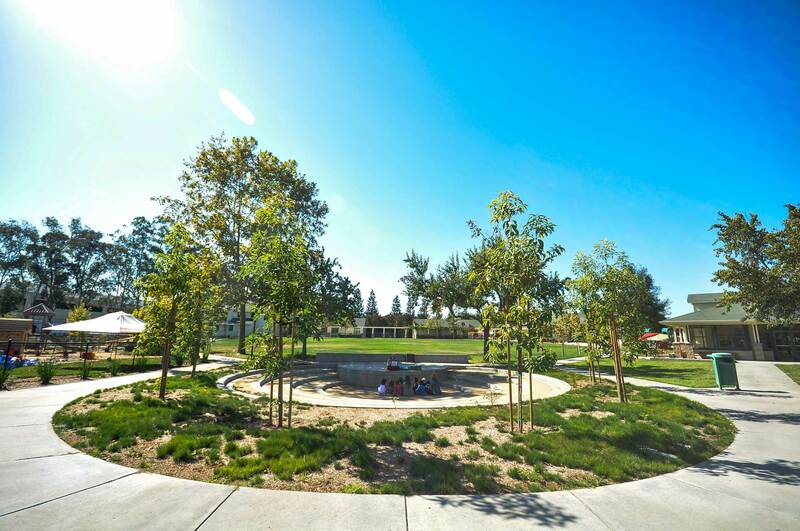 We designed the Harker Preschool campus as a little village with rich opportunities for real-life learning in developmentally appropriate spaces. Our campus is fully enclosed and secure to keep your child safe. With lots of trees and flowers planted around campus, your child will enjoy the natural beauty and feel at home at Harker Preschool. Across 8 acres of land our campus features include charming cottage classrooms and a working farm with vegetables, chickens and rabbits. Our students enjoy learning in our charming, light-filled cottage classrooms that sit around a central lawn. All of our classrooms are equipped with spaces for small and large group activities, individual play opportunities, specialty class lessons, rest time and more. With tables for structured small group lessons, open areas for circle time, child-directed areas inside and out, an abundance of inviting materials and thoughtful teachers nearby, our students have access to all of the resources they need for learning. Each of these dedicated spaces is fully equipped with the tools and materials your child needs to explore these specialty interest areas. Each cottage has access to developmentally appropriate front and back yard play spaces as well as a large central lawn, abundant trees and flowers, and plenty of hardscapes for ball bouncing, tricycle riding and wagon pulling. Each space is filled with natural materials and sensory experiences to encourage activity, curiosity and participation in outdoor learning and play. The children enjoy sand, water, rocks, tree stumps, large wood building blocks, playhouse spaces, traditional play structures and more, all arranged to allow for safe and meaningful outdoor learning.